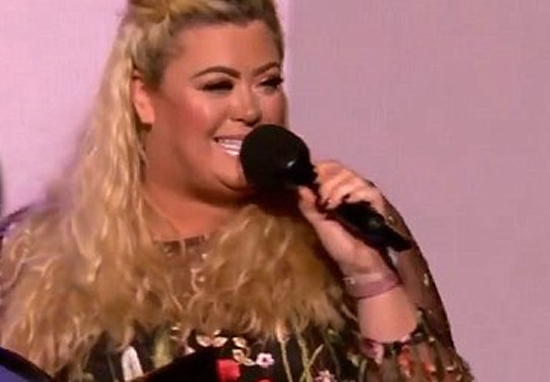 Gemma Collins is perhaps the most likeable and funniest star of The Only Way Is Essex, partly because we can all relate to the scrapes she gets herself into. From getting hypnotised to cure her food obsession to thinking she’s being haunted in the Big Brother house, I think theres a little bit of Gemma in all of us. Gearing up for her big appearance at the Radio 1 Teen Awards, Gemma spoke about her excitement over Twitter, stating how she was ‘so excited to see you all there’. Announcing the winner of the Best TV Show category in her usual enthusiastic manner, the former used car sales woman appeared to be in her element as she bellowed ‘Love Island!’ into the mic. The open trap door had been there to let the worthy Love Island winners onto the stage to accept their trophy, but instead it swallowed her whole, leaving the audience in a state of shock. Luckily, she seemed fine as Love Island’s Jamie Jewitt, Amber Davies, and Marcel Somerville helped her re-emerge triumphantly back on the stage. Oh my God, I am so sorry about that. This is live, this is what happens. Is this really what happens though Gemma?! Taking to Twitter, Gemma confirmed she was A-Okay, comparing her mishap with those of her fictional twinny Bridget Jones. Could there be a rom-com in the works starring Gemma Collins? Maybe the meet-cute could involve her falling into a pot hole on top of her potential love interest who has already fallen in there? Gem, it sounds like you’re in good company. Another classic Collins moment from the ‘Queen of Memes’.